The federal government recently settled a qui tam claim against a California medical care provider. The claim was based on the False Claims Act (FCA) with evidence provided by a whistleblower. The case was resolved with the medical care provider agreeing to pay almost $2.7 million without admitting liability. The whistleblower is expected to receive nearly $484,000 for her role in helping the government. The case involved allegations made by Janet Burke, a former employee of the Skin Cancer Medical Center in Encino, CA, owned by dermatologist and surgeon Dr. Norman A. Brooks, M.D. The lawsuit was originally filed by Burke under the qui tam – or “whistleblower” – provisions of the FCA. These provisions permit private parties or individuals to sue on behalf of the government and receive a share of any recovery. In the original lawsuit, Burke alleged that Brooks falsely diagnosed patients at his clinic with skin cancer in order to bill Medicare for unnecessary Mohs surgeries. Mohs surgery is a specialized procedure to remove certain types of skin cancer from various parts of the body, including the face. The surgery is complex, involving the removal of a single layer of tissue at a time. Each layer of tissue then undergoes a microscopic evaluation. The surgeon continues to remove additional layers of tissue as necessary until all the cancer is removed. Because Mohs surgery is complex and time-consuming, it results in a higher Medicare reimbursement than many other procedures used to remove skin lesions. In addition to the monetary settlement, Brooks agreed to enter into a three-year Integrity Agreement with the U.S. Department of Health and Human Services. Under the agreement, Brooks will establish and maintain a compliance program that includes mandated training for the doctor and his employees and review procedures for claims submitted to Medicare and Medicaid programs. As the whistleblower in the case (also known as “the relator”) Janet Burke will receive $482,500 for her courage in coming forward. Fraudulent claims to Medicare and Medicaid are unfortunately common. These false claims swindle taxpayers and the government out of millions of dollars every year and take away much needed support monies from these and other life-saving programs. The federal government is committed to aggressively pursuing this type of fraud and rewarding those who come forward to expose it. 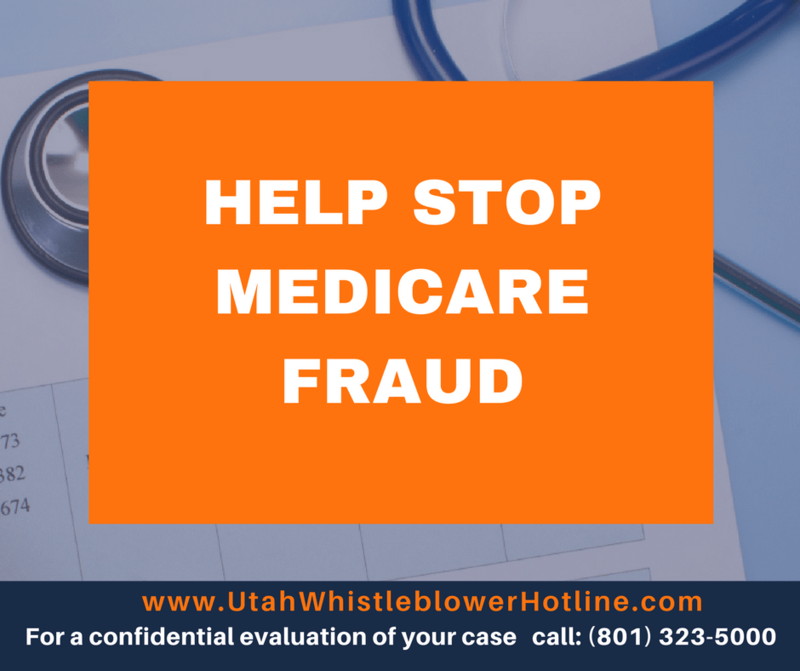 If you are an employee of a business that contracts with the federal government or with the State of Utah to provide health care services and you have reason to believe your employer is fraudulently billing the government for services or care call our Whistleblower Hotline right away at (801) 323-5000. Our experienced whistleblower attorneys have experience representing individuals in a variety of industries, including healthcare, and protecting their rights in qui tam cases. We are ready to protect your rights as a whistleblower in your qui tam case.